Often, when I watch old Japanese movies, I come across familiar-looking filming locations that drive me to the point of distraction. Where was that filmed? I am compelled to find the answer, spending dozens of hours to find the answer. 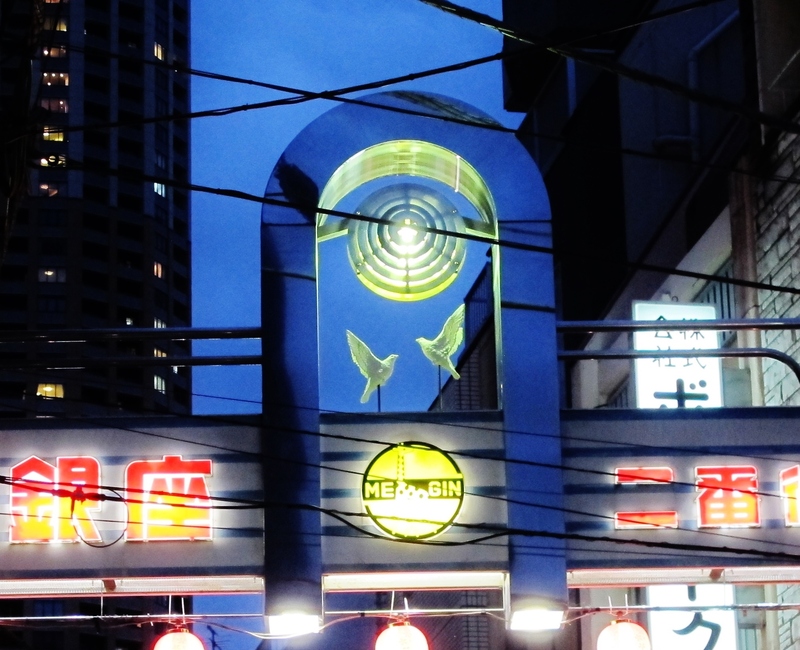 I’ve blogged about this a before, whether it’s an intersection in Akasaka, a church in Yotsuya, or Sensō-ji in Asakusa. Boat and the floating log scene from Cruel Story of Youth. Floating log scene from Cruel Story of Youth. The following provides the best clues regarding the camera location. (Exhibit A). The following is a screen-shot from Google earth showing the same scene as Exhibit A, 54 years later (at a slightly higher elevation). the clusters of large buildings on the left, behind the bridge, are at Takeshiba Station and, further in back, Shiodome station. the sliver-thin building in the center is the Central Incineration Plant 中央清掃工場 in Haruni 晴海 (photo) (map). 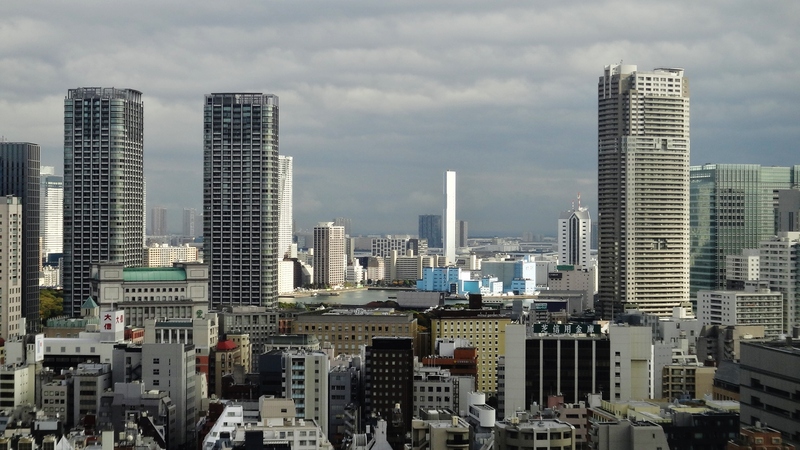 the pair of buildings to the left of the incineration plant are The Tokyo Towers ザ・トーキョー・タワーズ apartment complex in Kachidoki 勝どき (map). the several buildings on the right side of this picture are clustered around Toyosu station (map). 3. Absence of the floating logs. in the right foreground of Exhibit A, thousands of logs are floating in cramped captivity. Of the seven daiba that were built (not all were finished), only two remain. The others were either covered by man-made land or removed to improve shipping lanes. 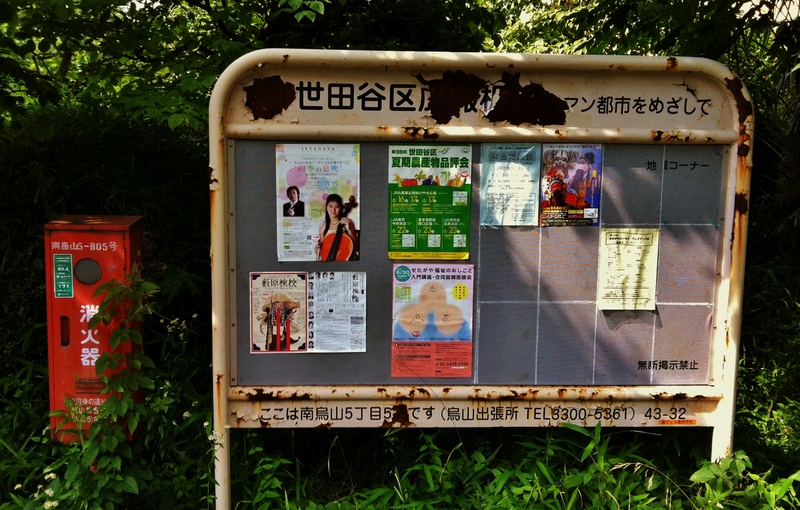 Below left (Exhibit C), is a map of the daiba, numbered in red, with yellow circles indicating the ones that no longer exist. Only #3 and #6 remain. 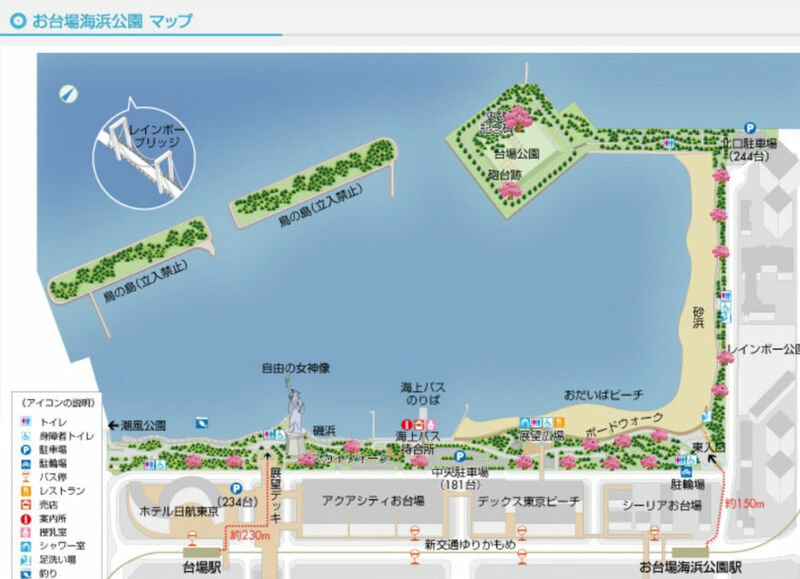 #3 is open to the public, known as Daiba Park 台場公園 (map). As recently as 1946, most of the Daiba still existed. 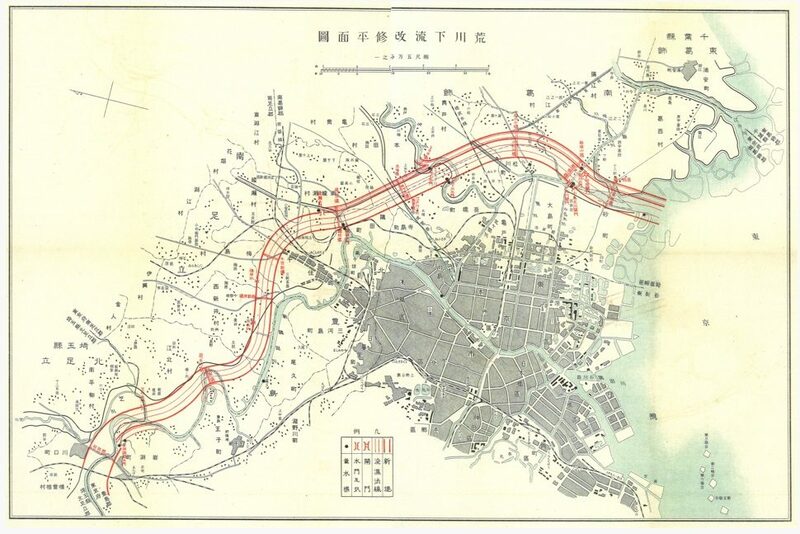 Below, right, is detail of a US Army map from 1946, showing that all of the daiba but #7 were visible (although #4 had been incorporated into the tip of Tennōzu Isle 天王洲アイル, now the location of Sea Fort Square シーフォートスクエア, map). The daiba are clearly visible in the following aerial photograph from 1936, with a comparison to the 1946 map. Odaiba お台場 – from my research, the word daiba morphed into the word odaiba when, out of respect for the shogun, officials added the kanji 御 to daiba, for 御台場, meaning “your 御 daiba 台場”. Pronounced odaiba, today the kanji is replaced with the phonetic お, followed by 台場. (footnote 2). Today, the word Odaiba generally means the man-made island containing, among other things, the Aqua City Odaiba, a miniature Statue of Liberty, and the Fuji Television building. More on this below. Daiba Station 台場駅 – is a station of the Yurikamome Line 新交通ゆりかもめ, located in Odaiba. Daiba is also the name of an official geographical district within Tokyo’s Minato-ku (ward). 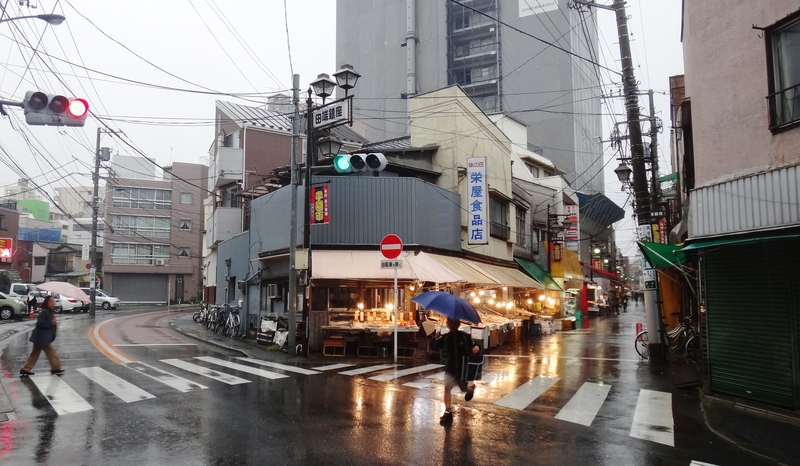 Within Minato-ku there are five districts 地区: Azabu, Shiba, Akasaka, Takanawa, and Shibaura Konan. Within the district of Shibaura Konan 芝浦港南 there are four regions 地域, of which Daiba is one. Within Daiba there are two chome 丁目, Daiba 1-chome and Daiba 2-chome / 台場（だいば）一・二丁目). The “official” definition of Daiba is shown in the map below, circled in yellow. Colloquially, when people speak of “going to Odaiba”, the geographic place they refer to is essentially identical to the officially-defined Daiba. 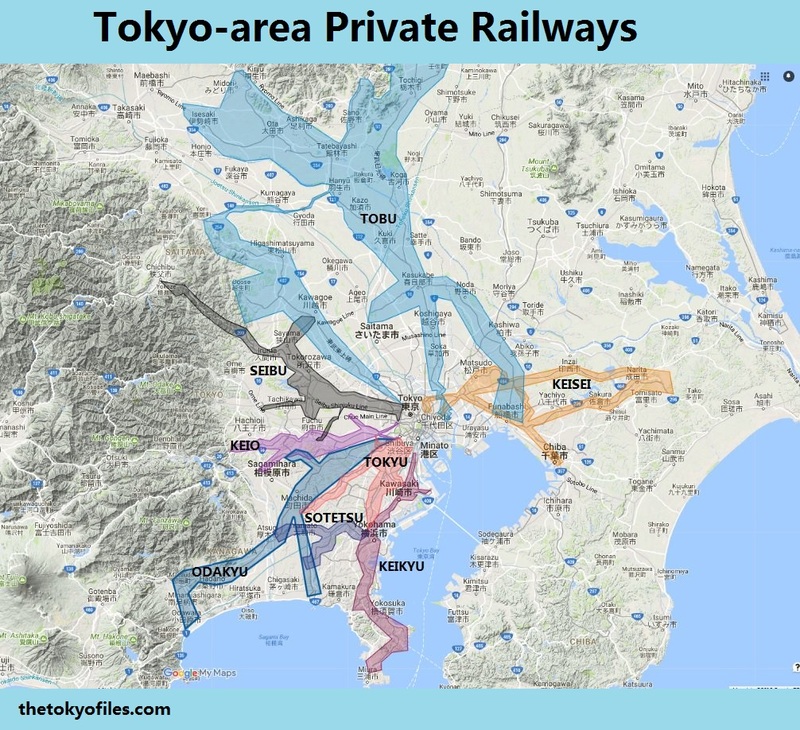 Personally, I would say that “Odaiba” also includes all of the Yurikamome stations between Odaibakaihinkoen お台場海浜公園 and Aomi 青海 (some of these are technically in Aomi, Koto-ku 青海、江東区. Wikipedia calls Odaiba “a large artificial island”, but the southern border of this island is somewhat arbitrary, as seen below, right, which is Google’s definition of Odaiba (the Tokyo Port takes up all of the area south of the purple border). The lumberyards in Kiba were relocated in 1969 and replaced with Kiba park; the location of these lumberyards can be seen in the 1946 US Army map, which includes the label “Lumber Storage Ponds”. This is matches the current location of Kiba park, can be verified by comparison to existing canals and landmasses. It only took 4 hours to realize I was lost. I wanted absolute proof that I’d found the correct location, particularly in light of the Kiba fiasco. 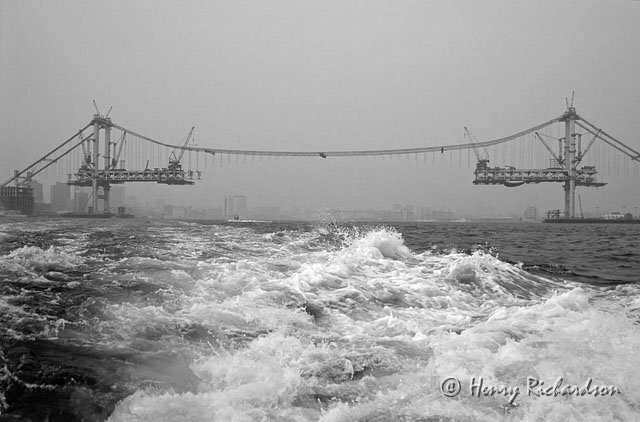 I’m indebted to the author of Exhibit C, and also to a blog that posted a series of pictures depicting changes to Odaiba between 1947 and 2007. 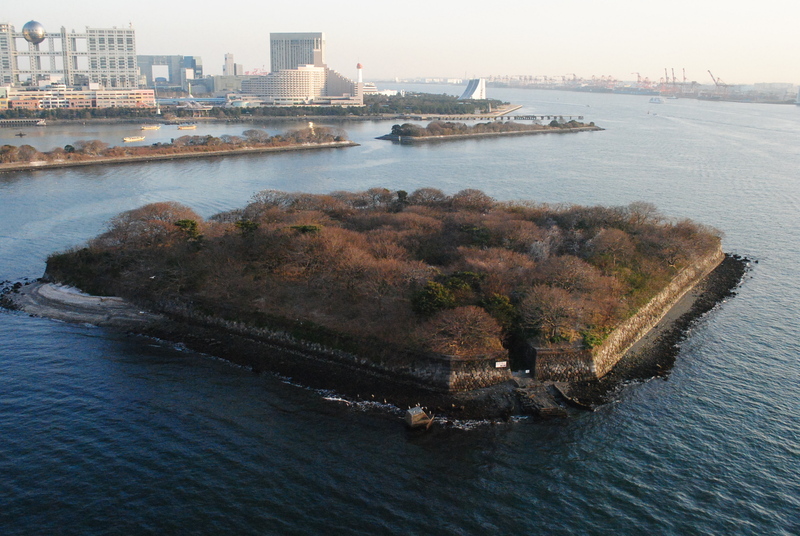 Here are two of the pictures, in which similarities to the movie stills are evident: the daiba, the large number of logs, and the narrow channel running between the two thin islands. The clues that allowed me to claim victory are the four rows of wooden pilings that jut into the water in the gap between the two thin islands. For the movie, the camera likely was placed on top of the pilings due to the flat surface. Today, the pilings no longer exist, but they were quite visible in the photos from 1963 and 1966; the ladder-like gaps running down the middle of each series is the final, decisive detail. The filming location is now a bird sanctuary, as seen in the following map, labeled 「鳥の島 (立入禁止」, or “Bird Island – Off-limits” (source). There are probably plenty of people who, when watching Cruel Story of Youth, would recognize the location instantly. That would have saved me a lot of time, but it would have prevented me from discovering the excellent mapping tools that I used extensively, and plan to use in the future. Cheers to searching, getting lost, and getting found. Hi Clark, thanks for the interesting article. Based on Edo period woodblock prints I saw today in an exhibition at the Yokohama Archives of History showing the 1860 Port Opening at a place today known as Yokosuka, I believe the original “Odaiba” was located there – the “Pearl Harbor” of Japan, so to speak. There may have been some deliberate obfuscation in the Meiji period between the ports of Yokosuka (military base) and Yokohama (civil port). Thanks Thomas. Great information! I’m going to need to look more into this! I really appreciate your methodical approach. Actually, this was the first time I’ve seen those Post War maps of the bay. I’m fascinated by them. As for the daiba/o-daiba thing, that is definitely an attribute of the late local dialect of Edoites. Possessions of the shōgunate were almost always given honorifics. Glad I could send you on an interesting 20-minute history of the old rail line! I agree: some great photos at that first link. Thanks for sharing the links. Great post! I really enjoyed reading your step-by-step “discovery”. You’re right that, for some, the location might seem obvious from the movie shots, but the process of unwrapping and connecting all these disparate elements is far more fun. An interesting tidbit: I’ve lived in Kachidoki since 2008 and, when I first moved here, the whole north side of Harumi Futo had a long, narrow strip of concrete full of hundreds of very large dry timber logs. I always wondered if they were forgotten stock. There is also the remnant of the old cargo rail line (東京都港湾局専用線) just before Toyosu that used to run from Harumi. I think that cargo line was not used for timber, but definitely a remnant of the industry running through the whole area from Harumi through Etchujima and beyond. That’s great information…I’m happy to say it sidetracked me for about 20 minutes looking into this history of the 東京都港湾局専用線. Ha, I love it. And that’s a wonderful part of Ginza, if I’m thinking of the right place.